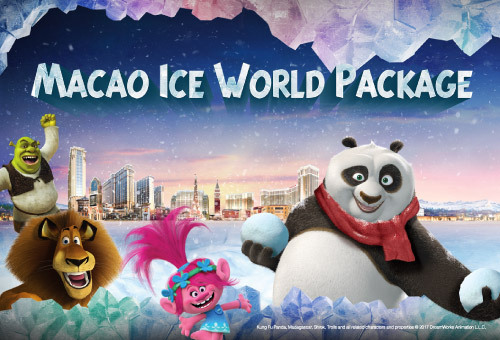 (Macao, Aug. 30, 2016) – A Facebook fan of Conrad Macao, Cotai Central, Chris Choi from Macao, won a two-night stay in the hotel’s Presidential Suite including breakfast valued at MOP65,000 after uploading a photo of a Conrad Macao Bear to his Facebook page using the hashtag #Travelbear2016. The winning photo was taken against the backdrop of Taipei’s famous 101 Building. Conrad Macao, Cotai Central gave fans the chance to win a #TravelBear2016 getaway package during July and August if they uploaded a photo of one of the hotel’s signature bears, taken at a global landmark, to their Facebook timeline. Photos needed to include the hashtag #TravelBear2016 and also tag Conrad Macao Facebook to be eligible to enter. The competition, now in its third year, enjoyed more than 1.4million reaches. Conrad Macao’s signature bear collection has been an inspired part of guest stays since the hotel opened in April 2012. In addition to the signature gold bear guests receive when they stay, an exclusive collection of four new bears is produced every year. The 2016 collection is a series of animal print bears and includes a Chinese New Year Giraffe Bear, a Snow Leopard Bear, a Pink Leopard Bear in October to support Breast Cancer awareness, and a Zebra Bear for Christmas. Photos were judged by a team of hotel executives based upon their creativity, along with the number of shares and likes they received on Facebook. Conrad Macao, Cotai Central offers the popular Conrad Concierge mobile app, which allows global luxury travellers to customise details of their hotel stay before, during and after each visit via a smartphone or tablet. Whether it's pre-selecting bath amenities or checking-in while in transit from the airport, guests can access a variety of features using the app. Conrad Macao Cotai Central participates in Hilton HHonors®, the only guest rewards program that allows members to earn Points & Miles® for the same stay and redeem points for free nights with No Blackout Dates at more than 4,600 hotels worldwide. Hilton HHonors members who book directly through http://www.conradhotels.com will have access to benefits including digital check-in and complimentary Wi-Fi. To learn more about or connect with Conrad Macao, Cotai Central, please visit www.conradhotels.com/macao. For more information about Conrad Hotels & Resorts, please visit http://news.conradhotels.com or follow us on Facebook, Instagram, and Twitter. Conrad Hotels & Resorts is the destination for the new generation of smart luxury travelers for whom life, business, and pleasure seamlessly intersect. Conrad offers its guests an innovative way to Stay Inspired through a curated collection of 1, 3, or 5 hour experiences, available through www.StayInspired.com or through the intuitive digital Conrad Concierge app. Consisting of 26 properties across five continents, Conrad is part of Hilton Worldwide, a leading global hospitality company. Learn more about the brand by visiting http://news.conradhotels.com or follow us on Facebook, Instagram and Twitter. Hilton Worldwide (NYSE: HLT) is a leading global hospitality company, comprised of more than 4,600 managed, franchised, owned and leased hotels and timeshare properties with more than 758,000 rooms in 100 countries and territories. For 96 years, Hilton Worldwide has been dedicated to continuing its tradition of providing exceptional guest experiences. The company's portfolio of 13 world-class global brands includes Hilton Hotels & Resorts, Waldorf Astoria Hotels & Resorts, Conrad Hotels & Resorts, Canopy by Hilton, Curio - A Collection by Hilton, DoubleTree by Hilton, Embassy Suites by Hilton, Hilton Garden Inn, Hampton by Hilton, Tru by Hilton, Homewood Suites by Hilton, Home2 Suites by Hilton and Hilton Grand Vacations. The company also manages an award-winning customer loyalty program, Hilton HHonors®. Hilton HHonors members who book directly through preferred Hilton channels have access to benefits including free standard Wi-Fi, as well as digital amenities that are available exclusively through the industry-leading Hilton HHonors app, where HHonors members can check-in, choose their room, and access their room using a Digital Key. Visit news.hiltonworldwide.com for more information and connect with Hilton Worldwide on Facebook, Twitter, YouTube, Flickr, LinkedIn and Instagram.